Editor’s Note: Charles Seifried is a photographer who has captured images of some of the most beautiful places in the world. A resident of Decatur, Charlie has a keen eye for the places and creatures that make Alabama such a special place to live. 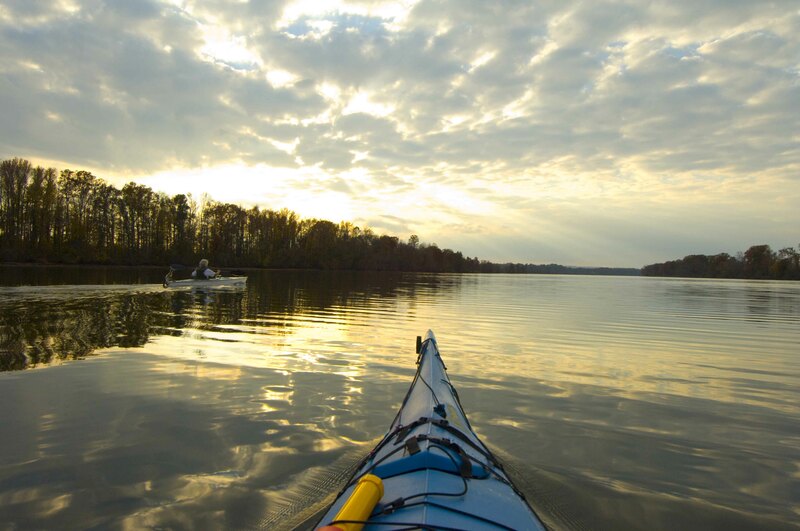 He has generously shared this blog post and the accompanying photos to give readers a glimpse into kayaking the Tennessee River. 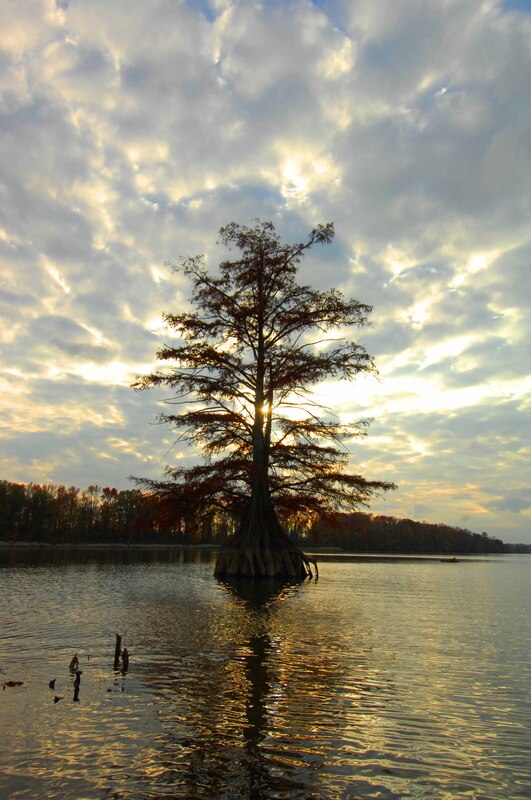 Charlie also provided the stunning photos for Conservation Alabama’s website. We are grateful for Charlie’s support! For more of his work, visit his website. Over 25 years ago I bought my first kayak, and it has lead me into some of the most wonderful areas in the state of Alabama that hardly anyone knows about. It started when a friend of mine let me get into his Current Designs Titan. Somewhere around 18 feet and 24 inches wide, it was a real cruiser, and today I have that exact boat. A little longer and lighter, fast and stable. 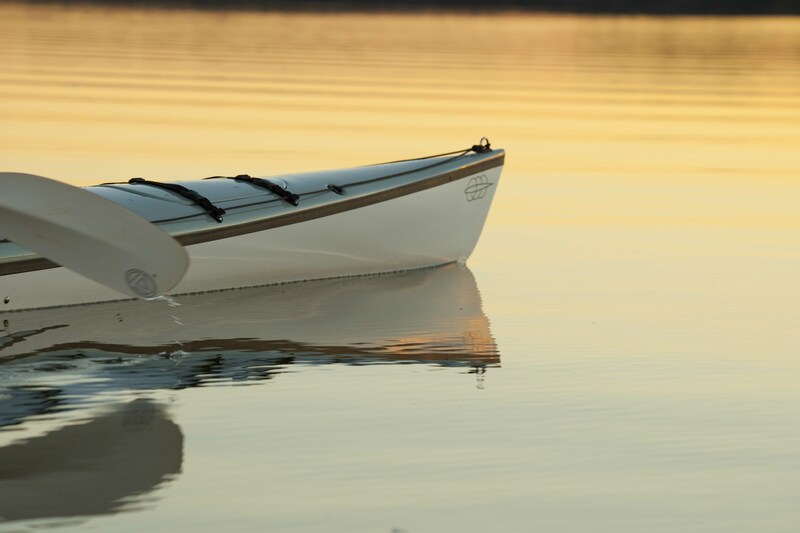 Many a time we have loaded up with all our camping gear, food, tents, water, etc., and headed out for a week of boating in the quiet solitude that kayaking can provide. What I like about it is that you can be with several of your friends but you also can have your own time by yourself observing things, photographing and just plain thinking. I also find kayaking to be safer than being in a canoe, especially in a storm with heavy winds and higher waves. The chance of flipping is far less if one pays attention to the winds and wave formations. Besides that, all your gear is safe and dry in the fore and aft dry hatches that can hold tents, cloths, food, pots and pans, etc. If you flip over, then you can rest assured that the gear will be protected. When I first started learning to kayak I flipped over maybe three times, but after I have not done so. It really is just learning how to read the water and always keeping a paddle in the water to brace. If you are going on an extended journey, you really should have an extra paddle, spray skirt, and pump, and you should always have a life jacket, hat and rain gear, and some food, water and sunscreen lotion. Several years ago, around November, I called four of my friends and gave them some plans to do a short 7-8 mile trip, so that day we all took off for Florence. Our intention was to head out towards Coffee Slough which is west of Florence by several miles. You have to get to Pride Landing which is on the right hand side of the road; a great spot to put in with easy access. We had stopped in Florence to meet with Jim and Faye Lacefield for lunch and after that they showed us how to get to Pride Landing. We were a little apprehensive about the day as it started to cloud up and looked like rain. The wind picked up out of the west, but I would rather kayak in any weather than not kayak. So off we went, and that was a good decision as the sky turned beautiful and the weather was just perfect. The area is similar to other parts of the Tennessee. It is wide and shallow in some spots which is perfect for the kayak as they can go in very low water and you can get to places that other boats have no chance of going. There are Bald Cyprus trees throughout the area that are just beautiful. Wildfowl are abundant along much of the Tennessee. 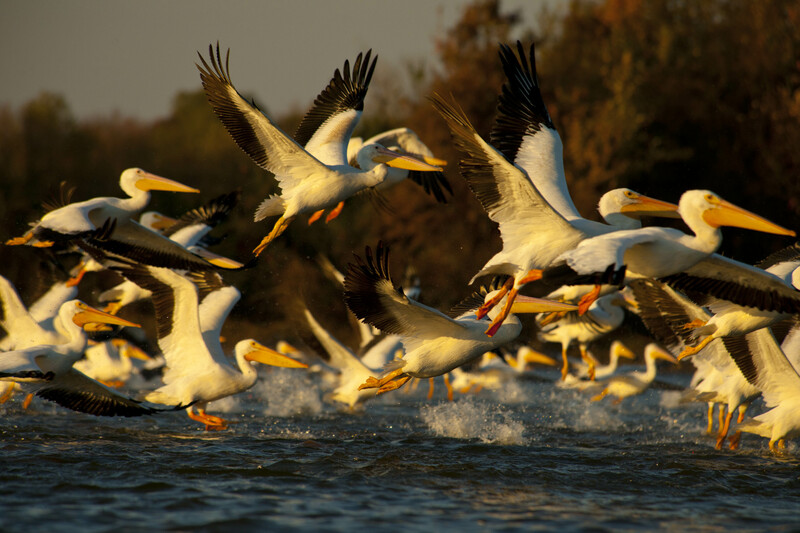 Many of the areas of the Tennessee backwaters are home to the fall and winter migration of White Pelicans which are plentiful and really beautiful to watch as they seem to just float in the air without much effort. Their landings are smooooooth. Then you have the Sand Hill Cranes and of course the multitude of ducks, blue Herons and white egrets. All of them just a real pleasure to see. 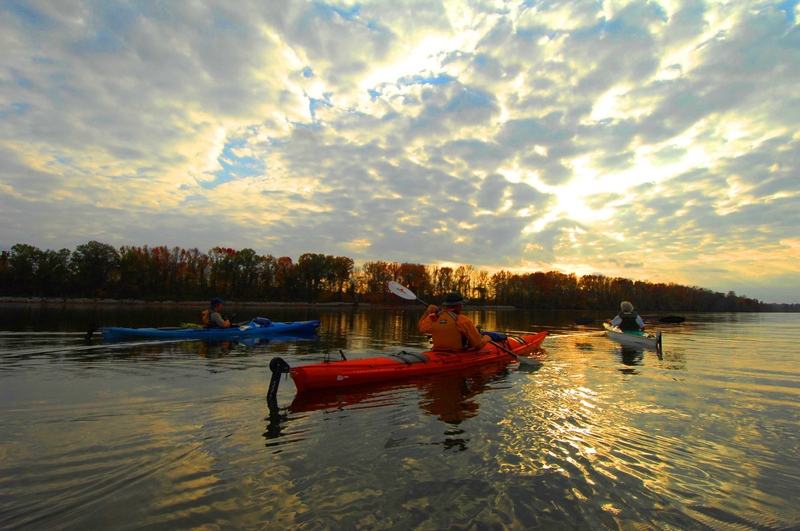 In a kayak you can get a lot closer without spooking them. If you have a good camera and a long lens you should be able to get great shots of all kinds of birds, alligators, beaver and trees. To protect your camera gear you should have a dry box and/or a dry bag to hold your lenses and cameras. After each shooting I put them back in the bags and tighten them up as one never knows if there is a problem coming up. 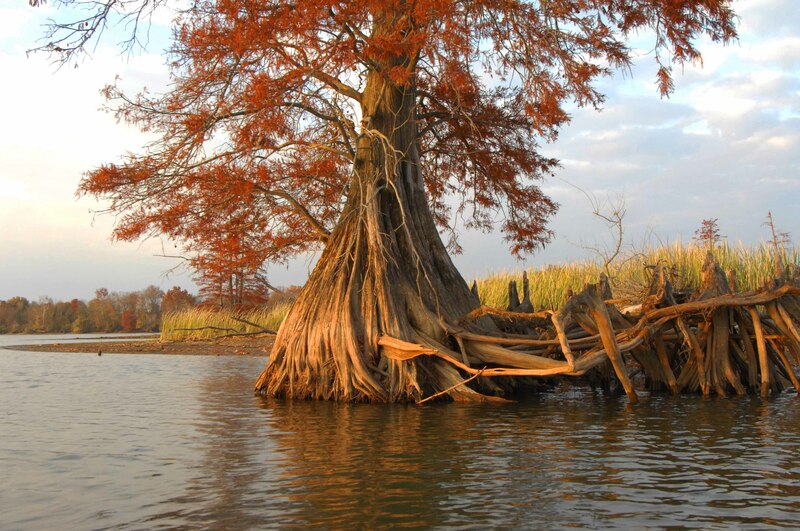 Paddling over sunken branches or cypress knees that are just below the water can put you off balance if you are not careful. We have wonderful water in the state and we should put forth an effort to keep the water we have clean and clear and potable. If we take our water for granted we will lose it. It is already polluted enough from the boats, plants and businesses that use it daily. Just take a look at what is happening in California. Who would have thought?? Besides that, we all have children and family that live and drink our water. We certainly want to care for their best interests now and in the future. Everyone lives downstream.